South Africa has all the components required to create the holiday of a lifetime. The ideal climate combined with culture, history, incredible landscapes and world class venues ensure you leave South Africa with unforgettable memories and the urge to return. 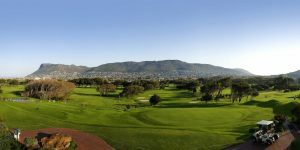 Whether you choose the nation’s capital Cape Town, the picturesque Winelands, the renowned Garden Route or the undiscovered Limpopo, a golf holiday in South Africa will not disappoint. With revered Championship venues such as Fancourt, Sun City, Arabella, Legends and world class golf courses such as Leopard Creek, The Links, Pezula, Oubaai and Royal Cape, it is difficult to see how South Africa kept this golfing jewel under the radar for so long. In addition to the golf, South Africa has a couple of other strings to its bow. The renowned safari and in particular Big Five safari is on offer at several locations across the country and when combined with luxury retreats and sumptuous full-board dining, this is a must for anybody heading to the country. 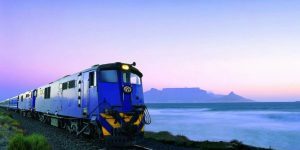 The Rovos Rail Golf Adventure is a week-long train tour taking in some of the most beautiful parts of South Africa including Limpopo, North West and Mpumalanga. After receiving rave reviews since day one, this world-class experience has gone from strength to strength and comprises of six nights aboard the luxurious train, award-winning food, unlimited drink, four rounds of golf, a visit to the Extreme 19th hole by helicopter and an elephant interaction. It’s not a standard golf holiday, but South Africa is no ordinary golf destination!